At this special Coffee with the Principal meeting, we will take about 5-10 minutes to take care of some PTA business. We need people in attendance so we can approve our 2016 Audit, approve our 2017-2018 PTA Board Members, and approve our new PTA Bylaws. This is the time of year PTA starts to prepare for the next school year. Students do better academically when their parents are actively involved in their schools. Parental participation in school decision making is more important than ever. If you are interested in any of the following open positions and would like more information and/or a job description, please contact the Nominating committee at: WashingtonPTARedondoBeach@gmail.com or JanisLByars@hotmail.com or click here to learn more. 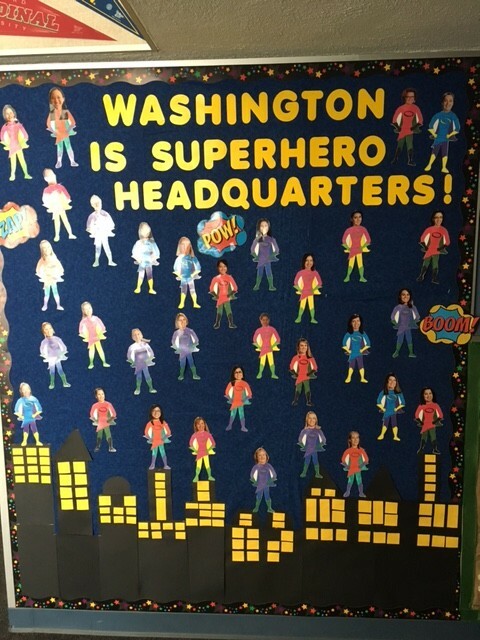 Washington Staff are Super Heroes! Washington families have been extremely supportive of PTA fundraising efforts this year, and as a result, the PTA is providing a bunch of really awesome gifts to all the teachers and staff, including breakfast and lunch! Here are some little things you can do that your teacher will appreciate in big ways! 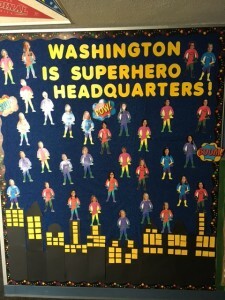 Monday: Visit the PTA bulletin board to see our super hero teachers in action. Tuesday: Bring your teacher her favorite flower. Wednesday: Write a Thank You card to let your teacher know you appreciate her. Thursday: Share your awesome smile with your teacher. Friday: Wear your teacher’s favorite color.